Ultraviolet photograph of a late opening flower on a leafy branch of Blackthorn (Prunus spinosa). 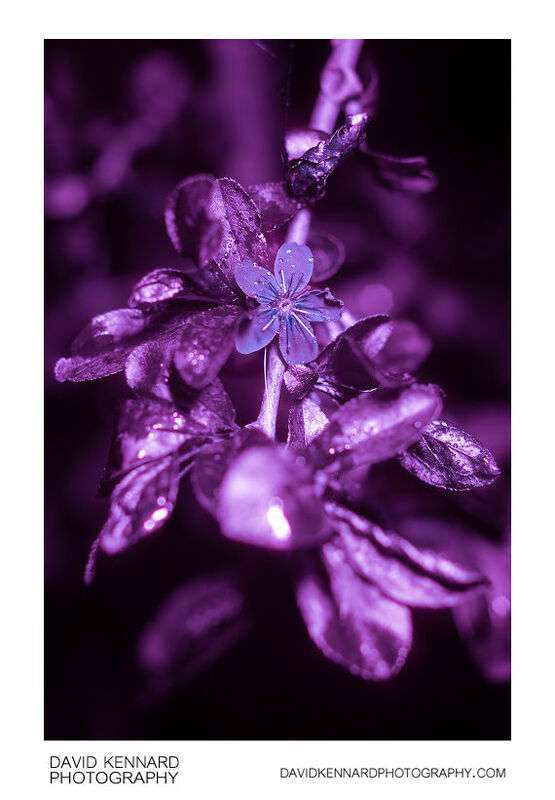 In UV the flower appears much darker than it does under visible light. The anthers appear slightly darker in ultraviolet, while the stigma is significantly darker.